technologies that promise to play a key role in the digital future. 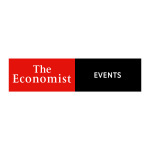 For more information on the conference and to register, please visit https://events.economist.com/events-conferences/americas/innovation. Join us on Twitter at #EconInnov and @EconomistEvents. Centric, Illinois Technology Association and Argonne National Library. The event’s PR agency is Zeno Group. technology, and books and arts, concluding each week with the obituary. stay ahead of the game in a rapidly changing world.